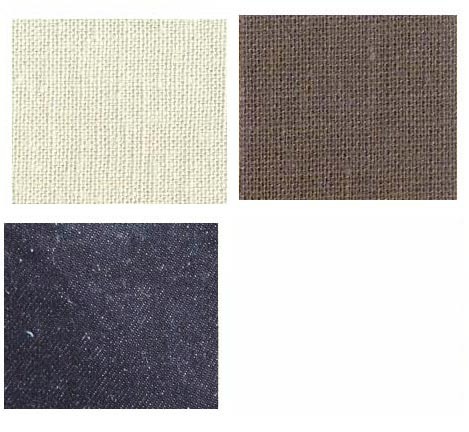 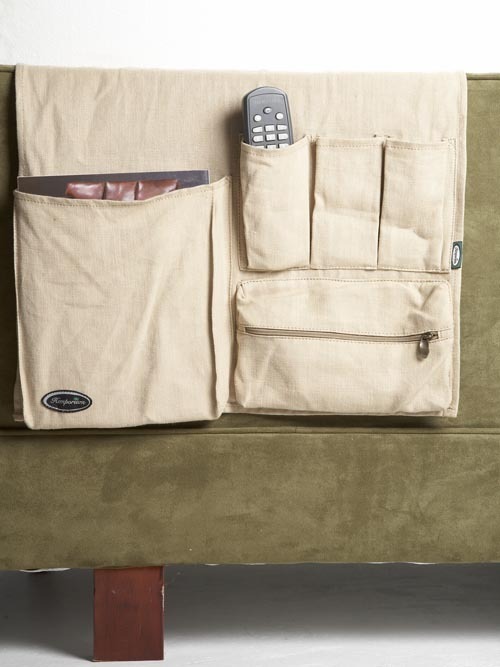 100% hemp canvas, 5 pocket couch bag. 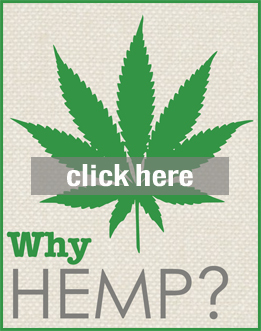 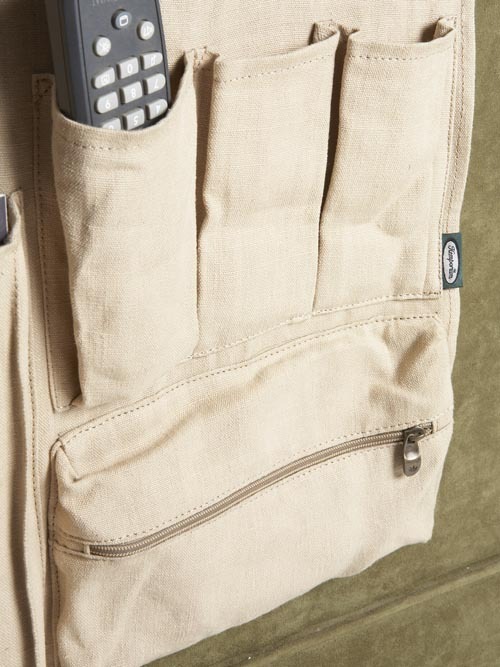 A durable, 100% hemp canvas couch bag suitable for use on most lounge suites. 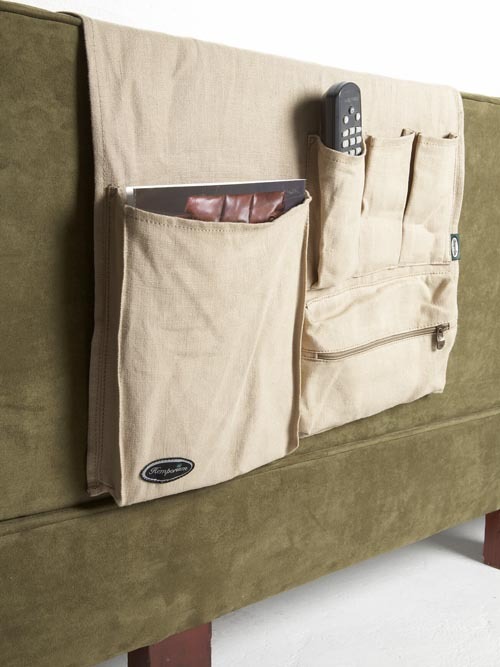 Unique design with 5 separate pockets to maximize utility, including a magazine holder, dual remote control storage, drink holder and a spacious zip-up pouch.